I recently watched the movie Hidalgo again. It’s a very entertaining movie filmed in 2004 about an American cowboy and long-distance rider competing in a 3,000 mile race in Arabia. Loads of fun, and the credits say it’s based on the life of Frank T. Hopkins. So, I decided to share a bit about the movie and the man with HHH readers. And that’s when I opened a huge can of worms. 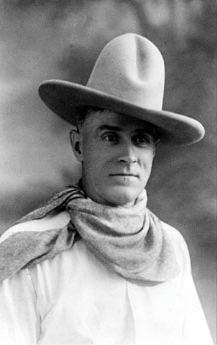 Some folks claim that Frank T. Hopkins made up a lot of his exploits, including the 400 long-distance races he competed in as well as the race in Arabia, called the “Ocean of Fire”. I have nothing new to bring to that argument, and that’s not what I want to blog about today. Based on first-hand accounts of people who knew Hopkins, I’m leaning toward a bit more fact than fiction, though. But as far as the movie itself, the screenwriter, John Fusco, said he took liberties with the writings of Frank T. Hopkins and his wife, Gertrude. As I read through the accounts of Hopkins life and the supposed lack of proof of his exploits, I can also see why long-distance races weren’t documented in the 1800s. Extreme long-distance endurance races were on the down-low back in the late 1800s-early 1900s because of the possibility and/or perceived inhumane treatment of horses. Possibly endurance races were fairly common, but also were more apt to be participated in by common rough-and-ready horsemen and women. It wasn’t a rich man’s sport with deep pockets so didn’t get top billing in newspapers either. Organized endurance riding as a formal sport began in 1955, when Wendell Robie and a group of equestrians rode from the Lake Tahoe area across the Sierra Nevada Range to Auburn in under 24 hours. This event is known as the Tevis Cup. Those who participate in endurance riding are dedicated horsemen and they strive to take good care of their horses. Every care is taken to ensure the welfare of the animals, from resting checkpoints, veterinarians, and proper equipment. But as with any sport where money is involved, there have been complaints of abuse in some of the endurance organizations, especially the international groups. According to the official Frank T. Hopkins website, he was born in Fort Laramie, WY shortly after the Civil War to an army scout and the daughter of a Sioux chief. He was a quiet man who knew his horses, knew how to train them, actually partnered with his horses, and preferred Mustangs over any other breed. He conditioned his horses to be prepared to travel up to 50 miles a day, and if they were still game at that point, he knew he had a horse fit for endurance rides. He started races slowly, letting his horse become accustomed to the trail. Then as the race continued, he and his horse increased their daily miles to overtake the leaders. Fact or fiction, tall tale or not, Frank Hopkins was a notable figure in the history of the Mustang and the movie Hidalgo pays tribute to the man and the horse. 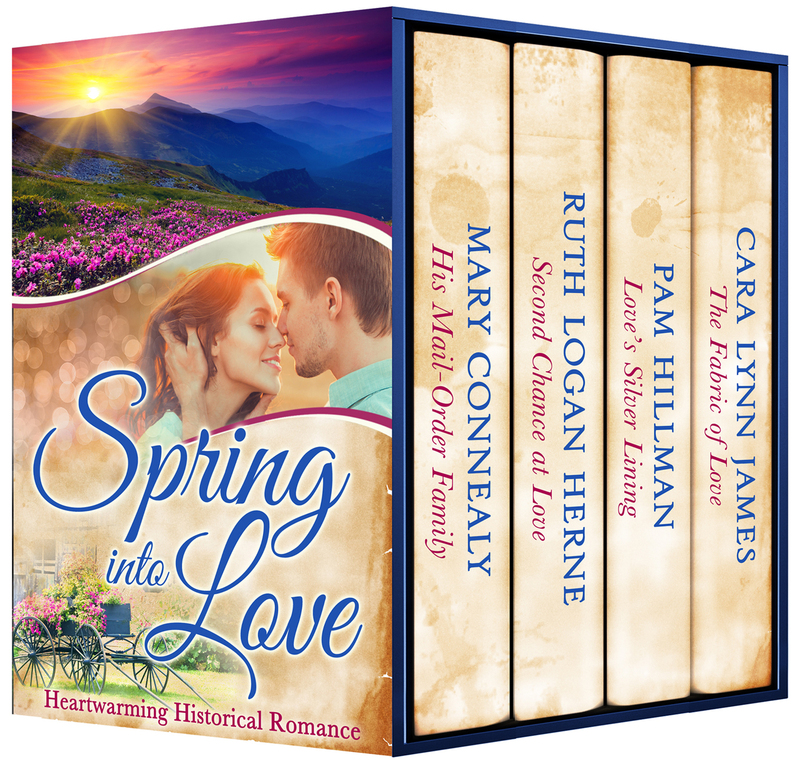 Spring into Love Heartwarming Historical Romance. Beautiful historical romance novellas written just for you by some of today's best-selling and award-winning Christian authors! 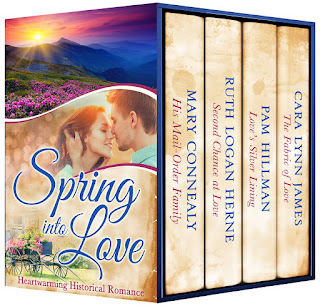 Sit back and relax while these four talented women whisk you back to simpler times in America's past... but with that simplicity came hard work and change, so curl up in your favorite spot and see what Mary, Ruthy, Pam and Cara have brought your way as you "Spring Into Love" with this new delightful Christian romance collection! I've seen this movie.. fun to learn more of the background..